On a recent night out in London, Tristan Watson discovered the value of great customer support, when his bag full of electronics, video equipment and personal items was stolen from a pub. The first sign that the thieves were on the move came when Tristan, CEO of a startup accelerator, was contacted by his bank, Monzo, through their app. Tristan received an automated transaction message: his credit card was just used at a convenience store 20 mins away! 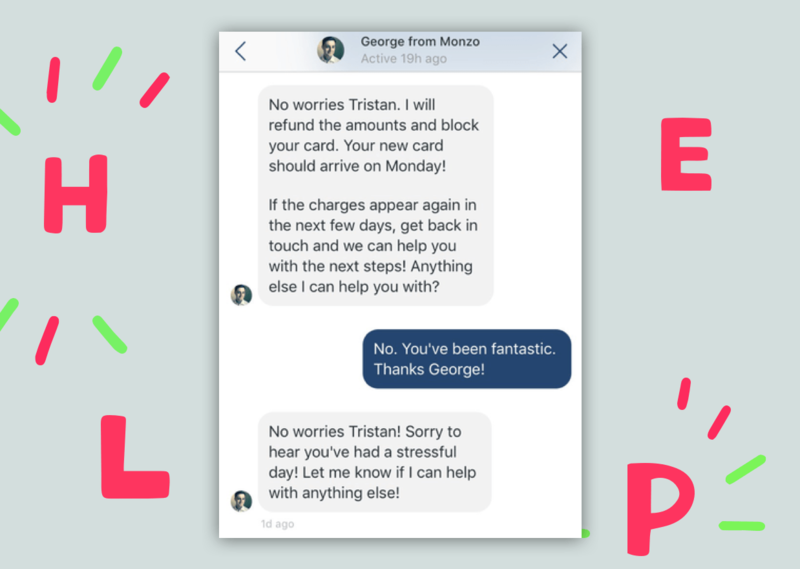 To reverse the charges Tristan contacted Monzo through their Intercom Messenger to tell them what happened. George, a Monzo support rep, replied in a few minutes and credited the funds back into his account instantly – all while Tristan was racing across town to track down the thieves. Personal, instant conversations like this might be new for a bank, but it’s representative of a change in the way internet businesses are providing customer support. In a recent survey of customer support leaders, Aircall, an internet phone system specifically built for online call centers, found that controlling costs was the No. 1 obstacle for these executives. Moreover, when new innovations are developed for the customer support industry, they are often framed as a way to cut costs rather than offering better service. A 2017 Fortune article, “Those Annoying Chatbots Can Save Business Billions,” highlighted research findings that chatbots could help customer service teams save more than $8 billion by the year 2022. Yes, that’s a lot of money, but what happens to all of the customers that these businesses “annoy” along the way? 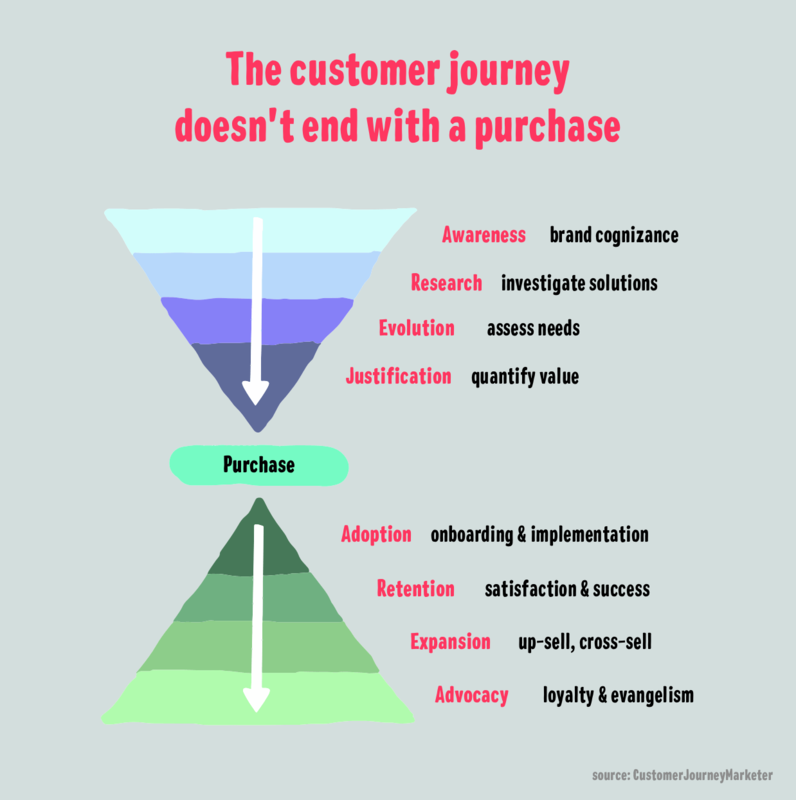 If these customers churn, or choose not to spend as much in the future, won’t that impact the bottom line as well? A new breed of innovative businesses, like Monzo, is going the other way. They’re utilizing new technologies to offer a customer support experience that people love, and that drives loyalty and engagement. It mirrors our approach here at Intercom. We’ve found that offering new customers real-time support can improve NPS scores by up to 15% and drive incremental growth in new business revenue. Forward thinking companies are starting to make service a part of their product, with messaging at the core. They use service as a differentiator and focus as much on the post purchase experience as the purchase decision to increase customer loyalty and retention – just like luxury hotels and car manufacturers have done for decades. Thanks to the internet, on-demand shopping experiences have nearly put an end to seemingly endless big-box stores and the sprawling real-estate they need to support customers. Online retailer Enjoy has gone a step further, eliminating the brick and mortar store altogether in favor of a model that puts an emphasis on proactive support. Enjoy’s blue-vested experts not only hand-deliver speakers from Sonos and digital watches from Tag Heuer, but also teach customers how to use the products, spending up to an hour to provide a tutorial. Instead of waiting for customers to ask for help, Enjoy preempts that with at-home support. With customer support experiences like this available, consumers are coming to expect more proactive support. In fact, research firm Northridge Group found that 54% of consumers will try a new brand for a better service experience. When Xplenty recognizes that a customer is having a problem – for example, when a certain job has failed several times in a row – the customer gets an automated message through Intercom. “This allows us to be very proactive with customers,” says Hughes. “They get a tip about how to fix the issue and the option to start a chat.” With Intercom embedded in Xplenty, customers don’t have to move away from the system to have the conversation. Problems are resolved faster, which drives greater customer satisfaction and loyalty. People love messaging – the top four messaging apps have more monthly active users than the top four social networking apps – but traditional businesses have not followed suit. Aircall’s survey found that phone and email were still the dominant support channels offered by businesses, and the only two channels with greater than 75% adoption. Internet businesses, however, are starting to internalize the consumer landscape and update their support experiences: Most customer support organizations see delivering consistent experiences across channels as a priority for 2018, and plan to add at least one other channel this year – with messaging via chat, social and text topping the list. Zenoti offers real-time support through chat to customers when they first switch from another software platform. The company puts such a premium on messaging that its staff has a significant component of their pay tied to their scores from conversation ratings. Many studies back up these findings: one professor’s study of 3,000 consumers found that 70% expect a company website to include a self-service application and that 40% prefer self-service to human contact. 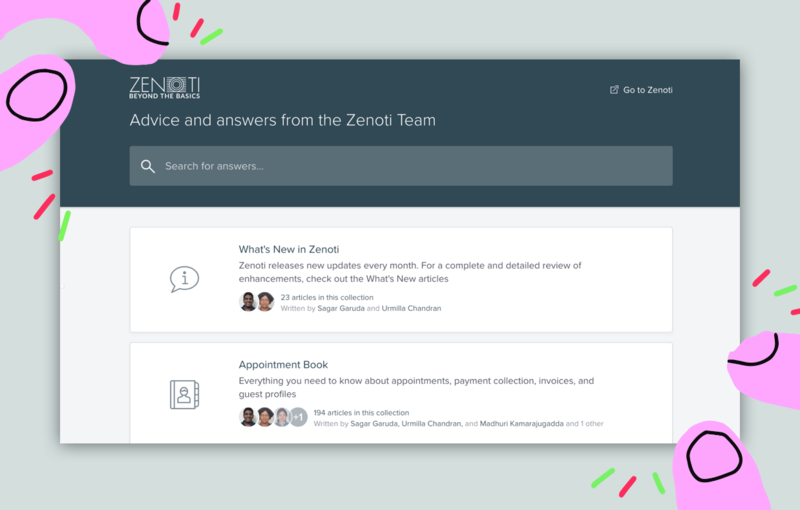 While chat is especially helpful for new customers, Zenoti moved their knowledge base to Intercom to take advantage of the machine learning available in Intercom Articles. Articles recommends what content to write next based on customer searches. Self-service solutions like this mean more customers can help themselves. In turn, this frees up support teammates to help even more new customers, who typically ask questions around getting value from the product. In the new book Human + Machine, Accenture technology leaders Paul Daugherty and Jim Wilson posit that the businesses that harness AI will flourish in the years to come – transforming everyday customer service in the process. These changes can already be seen at companies such as Dutch airline KLM. Using AI to suggest responses to customer questions, KLM was able to double the number of text-based customer inquiries it handles each week while increasing the number of agents by only 6%. By letting AI handle simple questions, the human agents were able to create more time for specialized, revenue-driving tasks like helping customers book flights. Beyond chatbots, automation is also aiding support teammates by analyzing big data sets to determine what help docs to write next or which messages to send to new customers. ProsperWorks, a CRM that sees deepening personal relationships as one of its core values, is using the latter to proactively support its latest signups. “If we didn’t use automation, we would have to manually set up each account and create a unique plan – automation allows us to scale,” says Justin Oberbauer, VP of Customer Success. 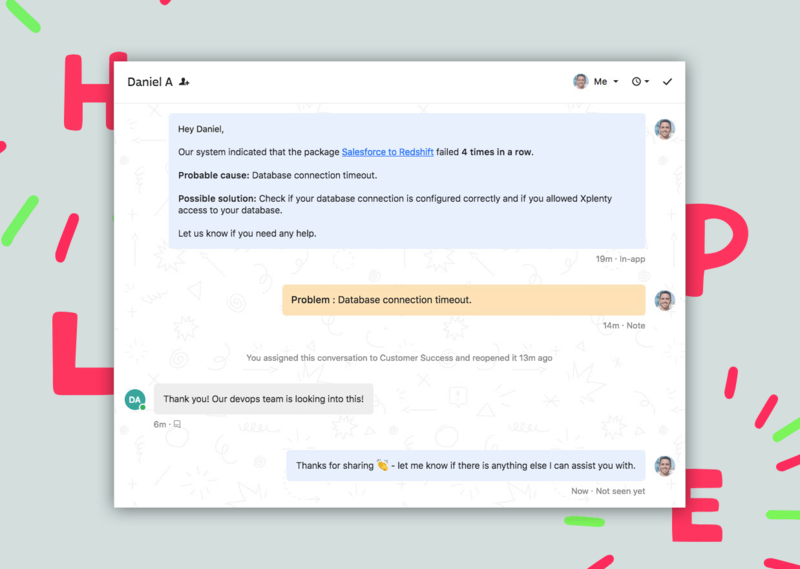 This personal approach to customer support has also improved 30-60-90 day retention rates, while increasing account net expansion, which benefits ProsperWorks’ bottom line. As customer expectations evolve, and support technology advances, businesses are adapting to the times. Customer support and service experiences are becoming the differentiating factors when people choose what software to buy and which companies get their business. Ready to raise the bar for your customer support? See how Intercom can help. A version of this post was originally published in MarTech Advisor.